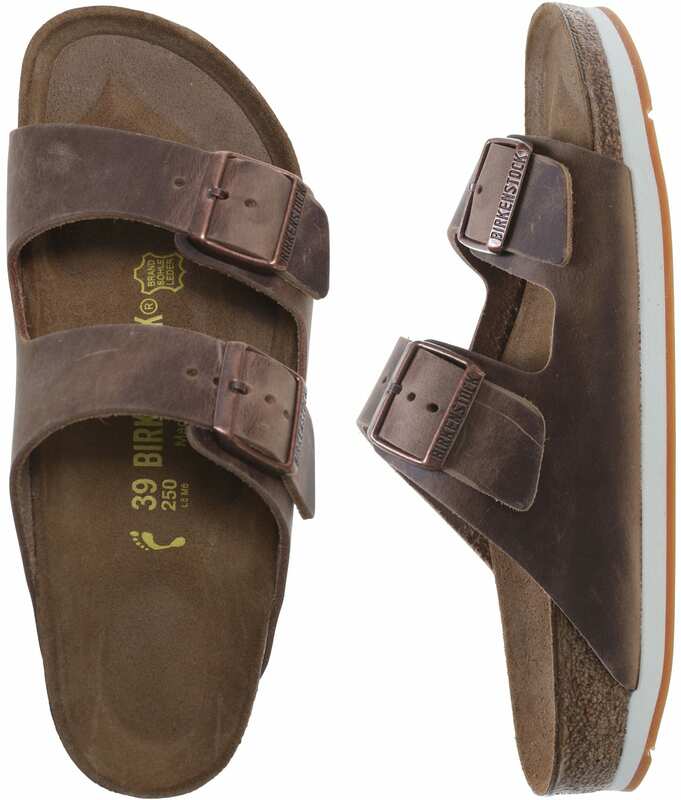 Arizonia's iconic two-strap style, the Arizona, is known for being the epitome of comfort. Both straps have buckles for a fantastic fit. 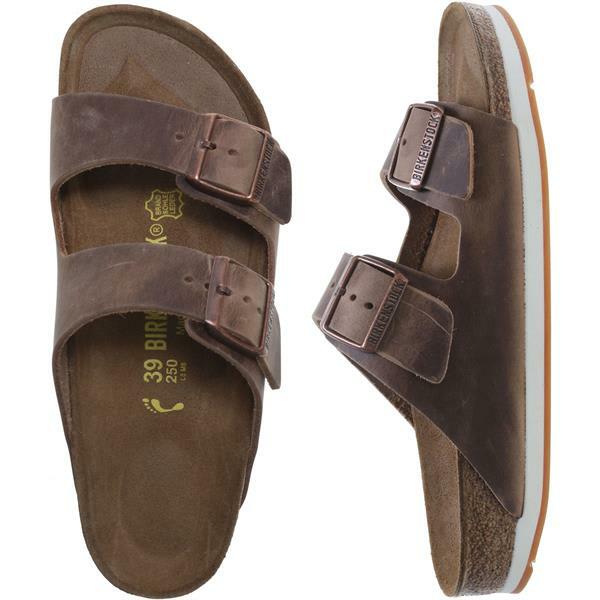 Offered in classic footbed in Biscay Bay Oiled Leather. Made in Germany. 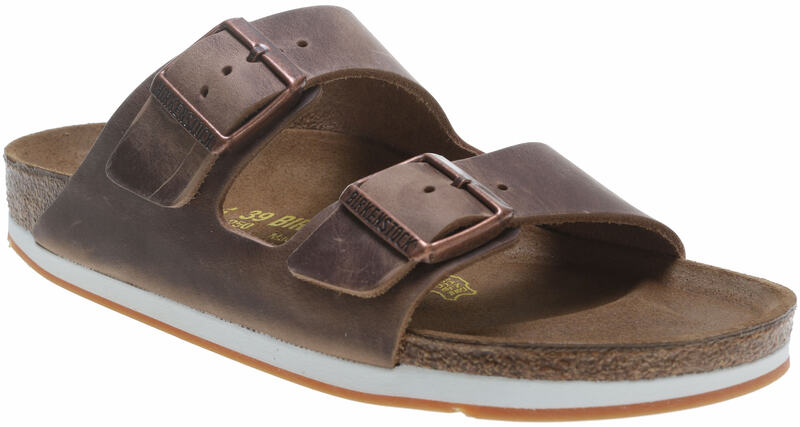 I wanted something a little bit different than the traditional Birkenstock, so I tried these, and I was not disappointed. The blue color is vibrant but not overpowering. It's very unique, and I love it. I got my sister the brown pair, and she loves them as well. The fit is great, too. Definitely size down, though. I'm a 7 1/2, and I bought a 7. They fit great!